Through out the spring and summer of this year (2016) my tiny, two cutting, Hoya lanceolata bella ‘White’ continued to grow until I had one piece around 14 inches long and another piece about 5 inches long. I no longer feared losing the plant, and the longest cutting started to form a peduncle. I did not get too excited about it at first as I had seen many very tiny peduncles abort in the past. This peduncle however was different and not only hung on, but started to grow! I watched it daily for weeks and finally was rewarded with what you see below. 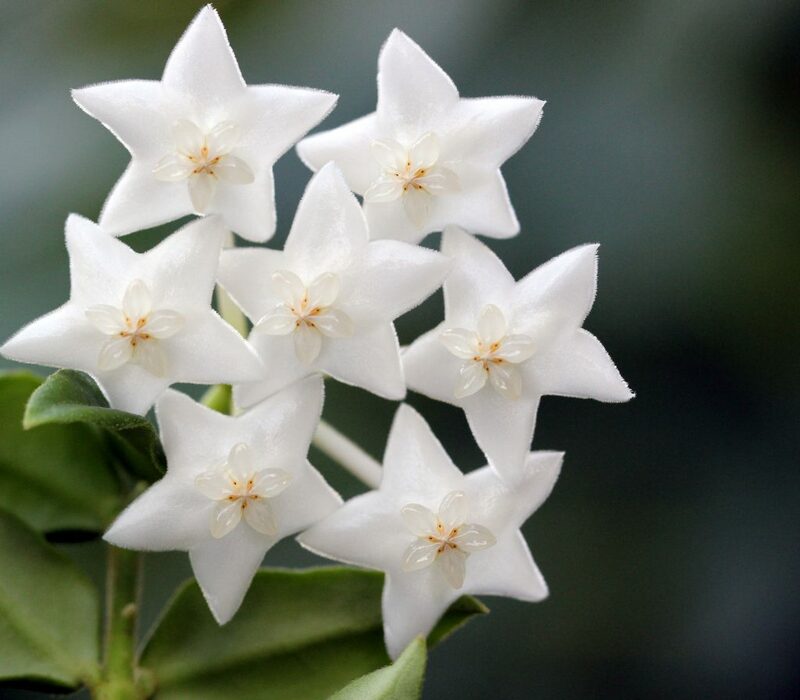 The blooms are stunning and sweetly scented. This entry was posted in Uncategorized on October 9, 2016 by Doug.